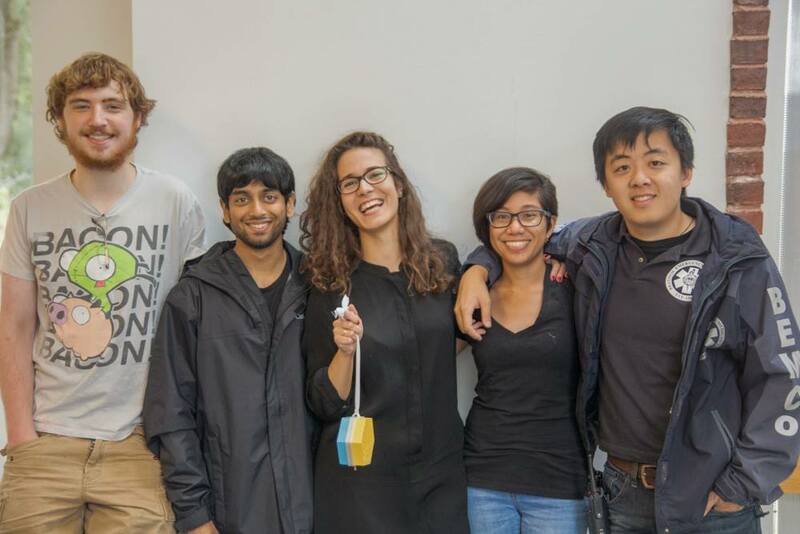 During a makeathon, students from all over meet at a single place and form teams. Each team is challenged to use all of their hardware and software knowledge to design and create a brand new technology that falls within the theme of the event which will be told the day of when everyone arrives. Teams have 24 hours to build their ideas into working prototypes that will be displayed and considered by a panel of judges. Our Makeathon is an open invitation to any student, with any level of experience, from any background. Our goal is to have as many diverse voices as we can possibly get. But along with your fellow participants, there will be organizers, mentors, and judges. The mentors are professionals from the Brandeis community and the surrounding Boston area, there to help you when you get stuck or just to bounce ideas off of. The judges are a handful of distinguished members of the tech community who will be there to see each presentation and decide which hacks have gone above and beyond. Lastly, the organizers are there to help you find the bathroom and keep you updated about events and talks during the Makeathon, and to make sure there’s always food around! Sounds fun! What are the details? 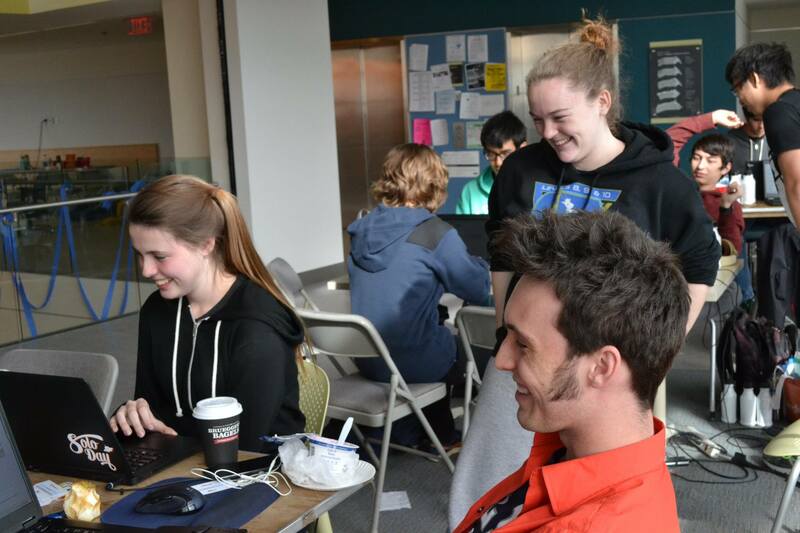 The Makeathon will be Saturday, March 12 through Sunday, March 13, at Brandeis University. We are currently working to secure sponsors and mentors for the event. We’ll have a ton of hardware for you to tinker and learn with, from Arduinos to Oculus Rifts to 3D printers to extra monitors; all you’ll need is something to work with/on/from. Aside from a device to design and code on and the charger, we’ve got you covered in terms of technology. We’ll provide you with all of your meals during the event, as well as snacks, and vegetarian and kosher options will be available. Since this is a 24 hour event there will be a designated quiet space to sleep, so we’d recommend you bring a blanket and pillow or a sleeping bag. You also might want a change of clothes for day 2, and you’ll thank yourself for bringing a toothbrush with toothpaste and some deodorant. The winning team from last year's printathon. The team brought a Dremmel 3D printer back to their school. 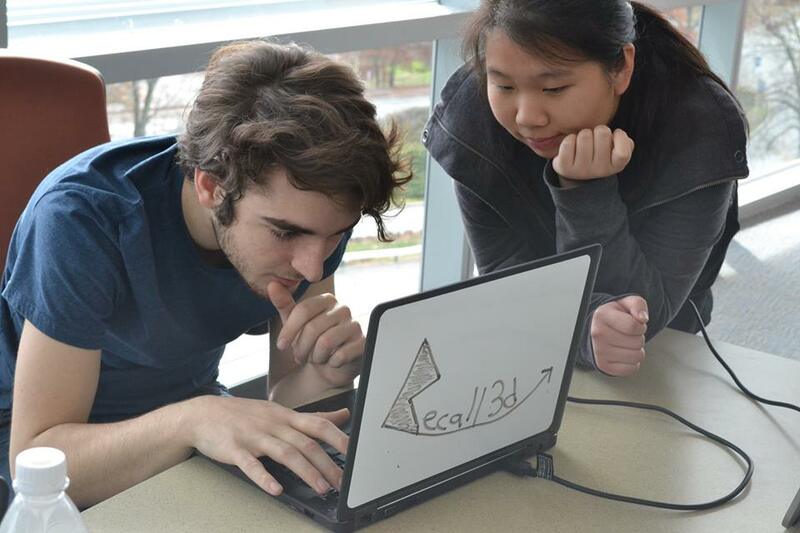 Two students review their work checking for mistakes and ensuring their code is optimized. 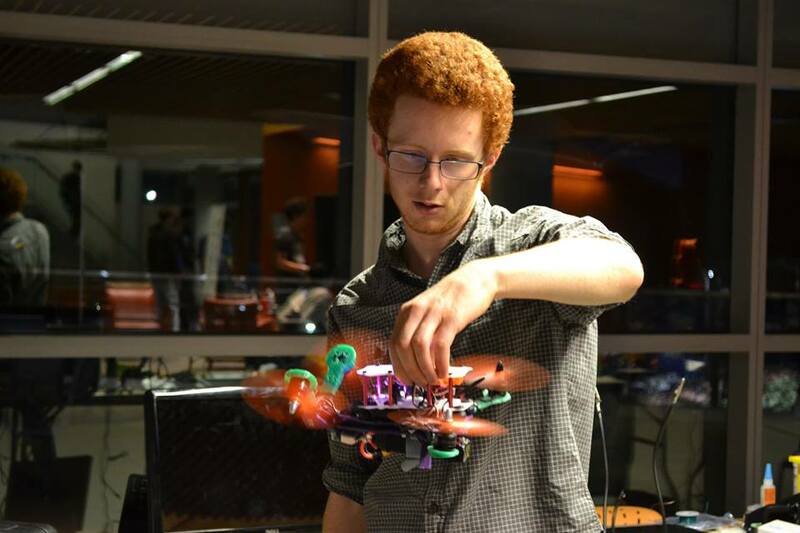 A student deisgned and built this quad through a combination of 3D printing parts and design. Students work together to design and write code to demonstrate their knowledge and solve a problem.